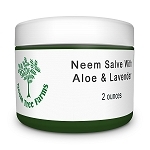 No US company has EPA approval to sell neem products labeled to repel mosquitoes or gnats. 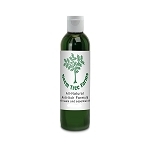 Our gel is made with a neem leaf extract and aloe vera base (to soothe bites you already have! ), wild-crafted neem oil, citronella and geraniol.Your satisfaction is 100% guaranteed, if you don't think it works, we'll refund the cost of the product. 4 oz. INGREDIENTS: Certified-organic green neem leaf extract, organic aloe vera gel, cold-pressed neem oil, citronella, carbomer, triethanolamne, polysorbate 20, diazolidinil urea, butylcarbamate, citric acid, geraniol.